The long-spined sea scorpion (Taurulus bubalis) is a common fish that appears in various colours to mimic its background. 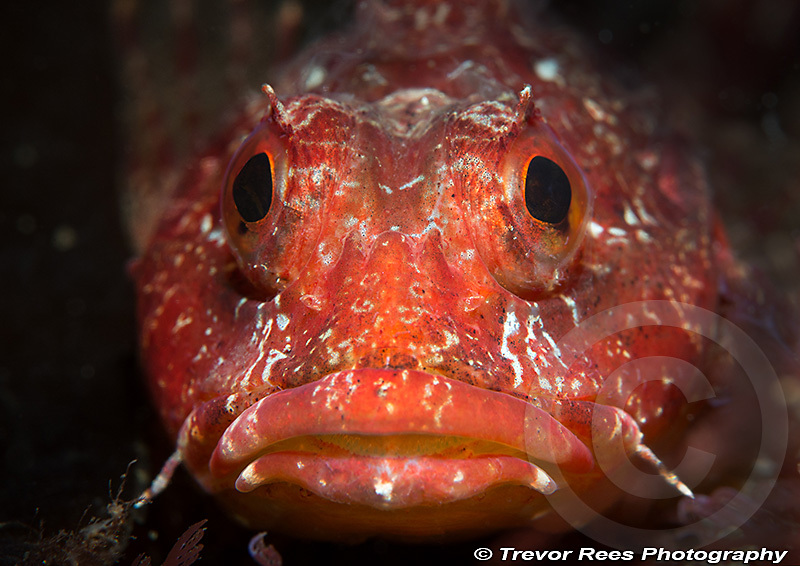 This one was a deep red colour and was photographed whilst diving in Loch Carron in Scotland. The distinctive barbels at at the corners of the mouth are a means of identification and help separate this species from the short-spined sea scorpion.